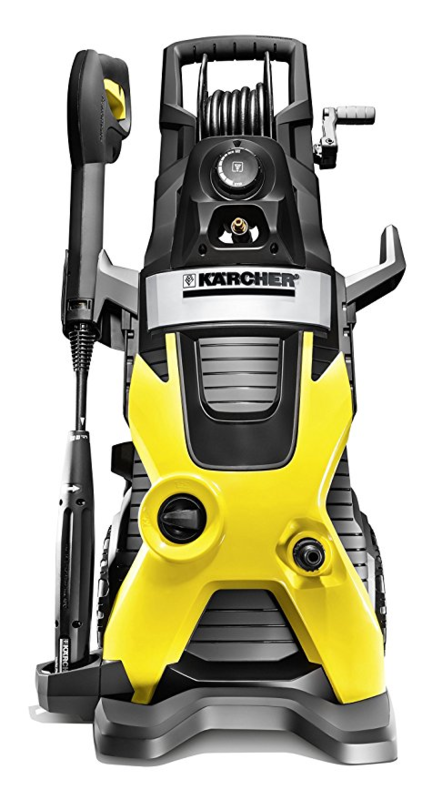 Karcher K5 Premium Electric Power Pressure Washer Review - Is it Good? This machine delivers 2000 PSI and a 1.4 GPM water flow rate and is ideal for people who wants the perfect home cleaning. It can give a pressure which is up to 40 times of a standard garden hose. It comes with on board hose reel, a Dirtblaster spray wand and a on board detergent tank. It is built to last longtime. It is equipped with patented water cooled induction motor wh8ch helps in prolonging the motor’s life by 5 times and also reduces the noise output and saves energy. The patented N-Cor pump is highly durable , non-corrosive and requires no maintenance. It is covered by 2 year warranty. One of the Best Electric Pressure Washer. Integrated hose reel for easy storage – 25ft high pressure hose. Water cooled induction motor and onboard detergent tank. Hose reel does not wind the hose easily.